Size of this preview: 685 × 599 pixels. Other resolutions: 274 × 240 pixels | 800 × 700 pixels. 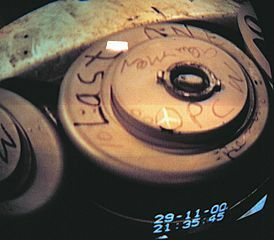 Description: The last muunition destroyed at JACADS--a nerve agent VX-filled land mine. This page was last modified on 11 September 2018, at 22:39.